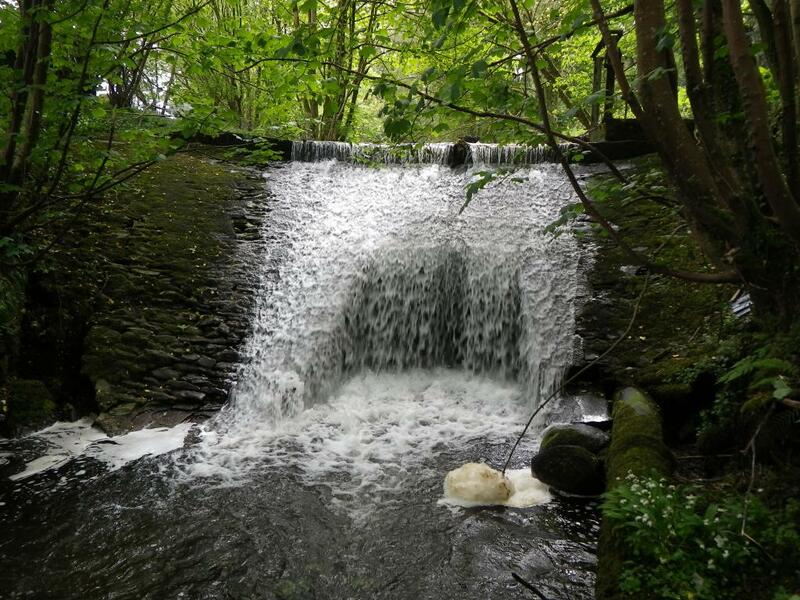 In 2012, GFT identified a redundant weir 3.5m high and 13m wide, associated with a disused creamery situated on the Old Mill Burn (a tributary of the Tarff Water) near Twynholm, as impacting significantly on local fish stocks. The weir (constructed >100 years ago) presented a complete barrier to migratory salmonid fish species considered important for economic and conservation reasons and blocked access to 10km of good quality upstream river habitat and transfer of gravels downstream. Allowing migratory fish access to this habitat was considered by GFT as a priority for action. Through the Rivers and Fisheries Trusts of Scotland (RAFTS) Barrier Easement Project, an opportunity arose to consider the weir for easement options using the Scottish Environment Protection Agency (SEPA) managed Water Environment Fund (WEF). Between 2014 and 2016 SEPA WEF provided background environmental information and majority funding for the practical engineering works in 2016 and also the pre-works feasibility study, impact assessment and design and build phase of works. 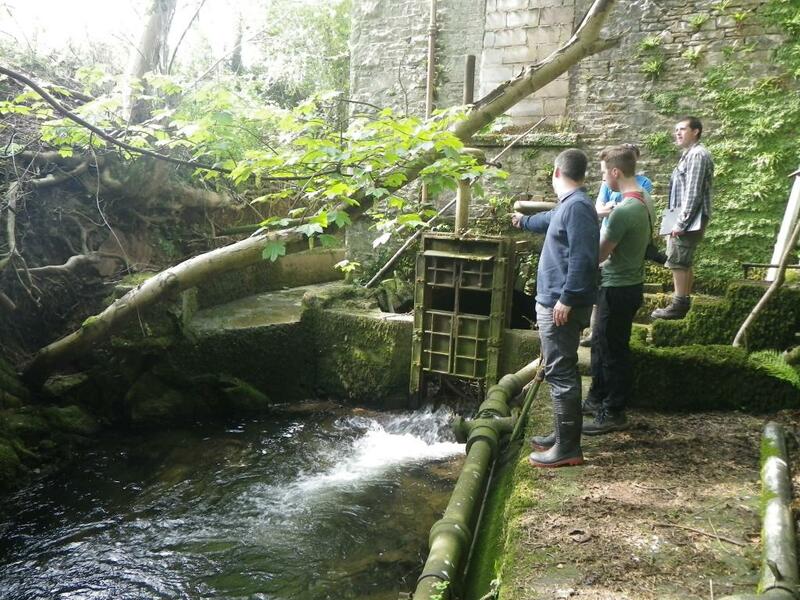 To provide fisheries data to support each project phase, GFT undertook electrofishing surveys within the Old Mill Burn. 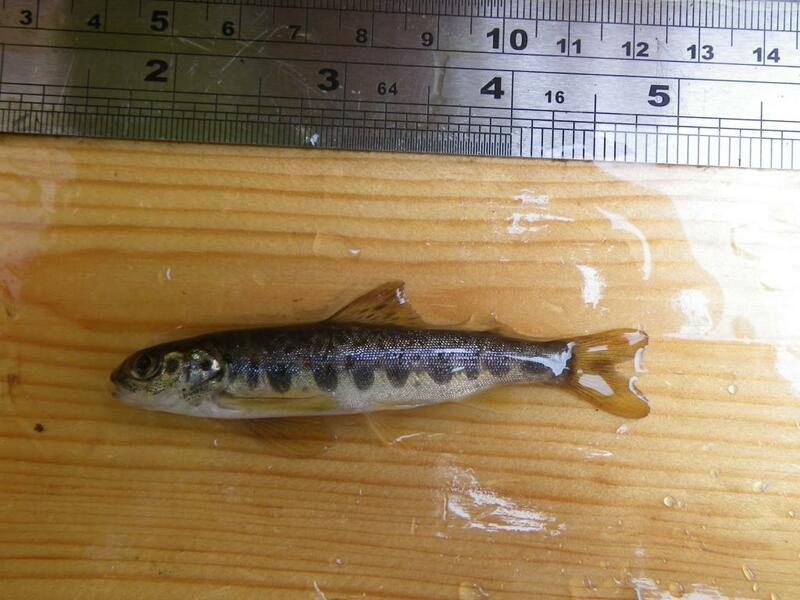 No juvenile salmon were found within six sites surveyed above the weir during pre-work surveys. Eels were the only migratory fish found to be able to ascend the creamery weir – by means of mosses covering both sides of the structure. 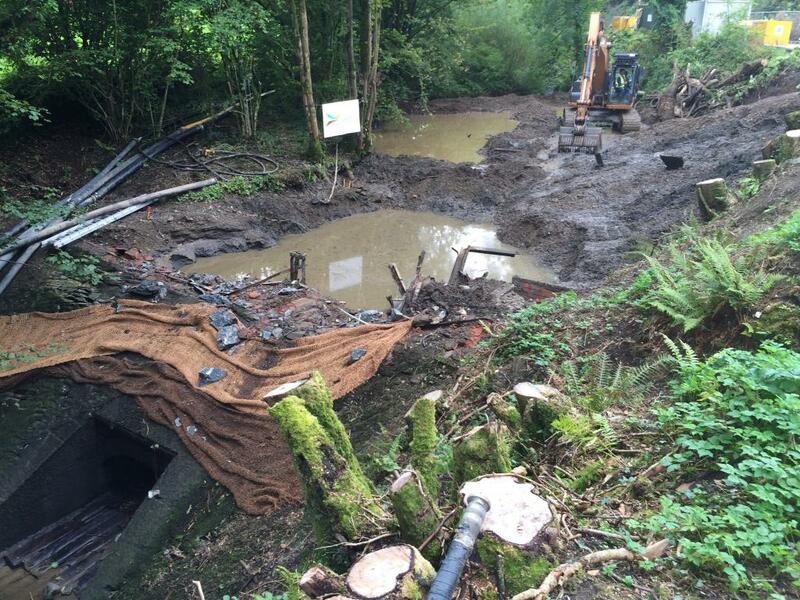 A range of options were considered to solve the fish passage problem but it was decided that full removal would be the most sustainable and cost effective solution and in September 2016, the Creamery Weir and associated sluice gate were removed. Sediment which had built up behind the weir was also removed to re-profile the river bank and protect the nearby road. Since the removal of the weir, the river has naturally re-profiled itself with erosion and deposition occurring within the work area. The Old Mill Burn runs through a gorge so there is limited room for the river to naturally move but the channel has shown some meandering above the creamery weir site. 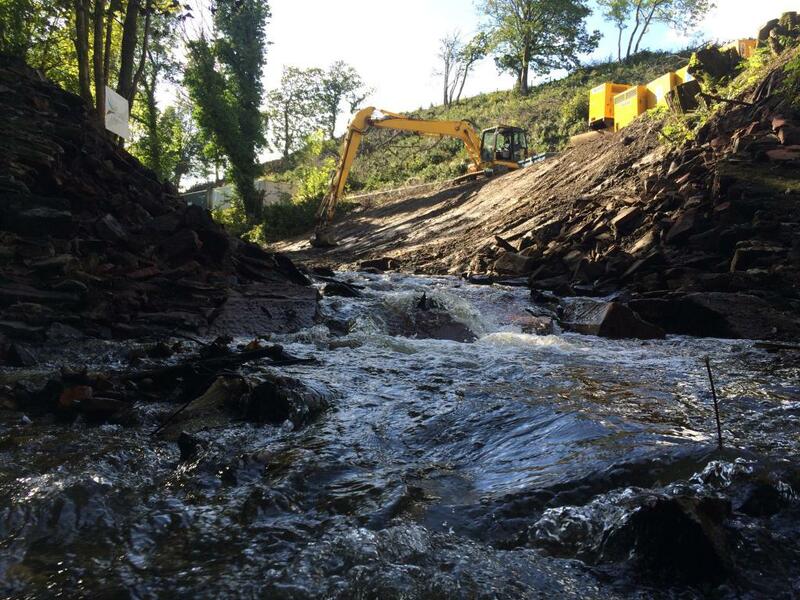 Seeding of parts of the banksides took place to assist in protecting the road and to ensure excessive levels of silt was not washed into the river. This seeding did not take place right down to the water edge to allow the river to undertake some erosion and realignment if required. The channel width and gradient of the new channel were designed to mimic the burn outside the work area. 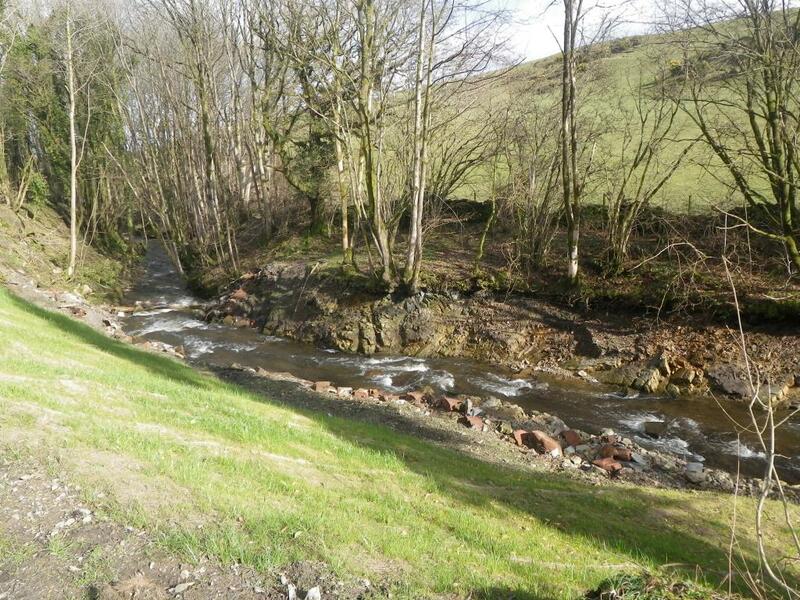 With the free movement of river sediments through the site, it is hoped that a more natural and suitable instream habitat will form for salmonids downstream, by the creation of pool and riffle sequences and formation of gravel beds. In 2017, the first year of monitoring electrofishing was undertaken on the Old Mill Burn, to catalogue the long-term ecological gain that has resulted from the removal of the creamery weir. Salmon were found in one of the two sites electrofished upstream of the demolished weir site, as fry in a high density (indicating that successful spawning of wild salmon had taken place during the winter of 2016). GFT will continue monitoring juvenile fish populations for up to five years post-works to evaluate the natural recolonisation of the burn upstream of the demolished weir. A range of native fish species, including Atlantic salmon, sea trout, sea lamprey and river lamprey, can now return and live once again in the 10km of good habitat available to them upstream of the weir site. Their return will ensure that a more natural ecosystem develops over time in the burn, particularly regarding a range of predator prey relationships. The project was a great success and achieved widespread attention from the local community, local press, BBC Radio Scotland and ITV Border News. GFT would like to thank the landowner Doug for his invaluable patience and support; the local community council and especially Councillor Maitland for her assistance; the many contributors from SEPA and in particular Richard Jeffries for his great enthusiasm and expertise. To Francis Hayes (SEPA) who inherited the project in its final year, and Helen Reid (SEPA). To Dan Smith and Nick Oxley who managed the physical works, Chris Horrill (RAFTS) and lastly, to Rob Mitchell (RAFTS), whose relentless hard work and uplifting spirit kept the project fun and well organised.